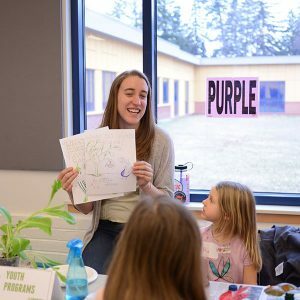 On March 3rd, Growing Places held the 7th annual Food Gardener’s Gathering to kick off the growing season! 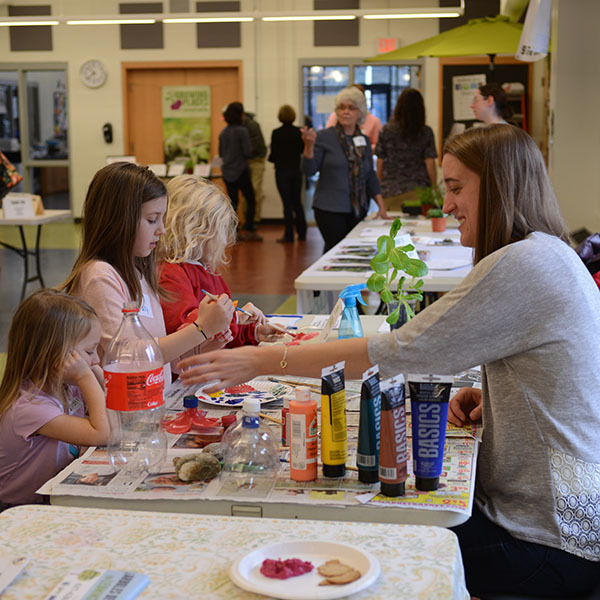 The open-house style event featured a pop-up farmer’s market, informational tables, a seed swap, and breakout sessions throughout the morning. Food enthusiasts and gardeners from across the region gathered to make connections and learn about how to grow their own food. My role as a TerraCorps member serving as Youth Education Coordinator was to make this the first year that the event had youth programming. I hosted a breakout session for youth centered around soil. I taught the kids about how compost worms turn yucky old food into amazing soil that plants love. Everyone got to hold a squiggling worm as we talked about worm facts (did you know that worms have 5 hearts?) and then we had a bin of dirt where everyone had a chance to use some garden tools to scoop, rake, and pat. 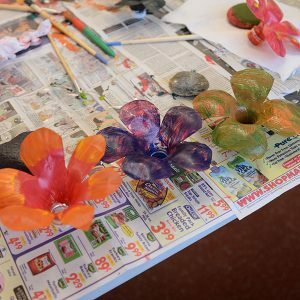 I also hosted a tabling activity where the kids learned about up-cycling a 2-liter plastic bottle into a flower that they can decorate their garden with. While the kids were painting their flowers, we were able to talk about why plastic can be harmful to the environment and it is a good idea to keep it out of landfills. We also were able to talk about how excited they were to start gardening with their families! In the words of one of the youth, “Gardening is so much fun, I can’t wait to grow everything”.